"Bird in the Woods", pierced, and riveted. 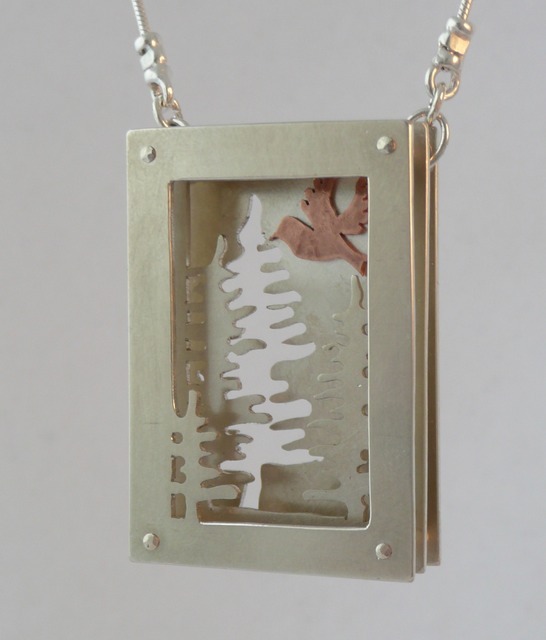 Sterling silver, and copper, .75" x 1.25", 18" chain, 2012. Private commission.